Sound Unseen presents a special discussion with five local Minneapolis authors and hosted by 89.3 The Current's Brian Oake. Music on Pages: An Authors' Roundtable will feature local music writers discussing Minnesota music history and their findings in the process of researching and discovering more about the Twin Cities music scene. Panelists and authors include Danny Sigelman (“Heyday: 35 Years of Music in Minneapolis”), Cyd Collins (“Complicated Fun: The Birth of Minneapolis Punk and Indie Rock 1974-1984--An Oral History”), Jim Walsh (“Bar Yarns and Manic-Depressive Mixtapes: Jim Walsh on Music from Minneapolis to the Outer Limits”), Chris Riemenschneider (“First Avenue: Minnesota's Mainroom”) and Andrea Swensson (“Got to Be Something Here: The Rise of the Minneapolis Sound”), and moderated by 89.3 the Current's Morning Show co-host, Brian Oake. Danny Sigelman is a DJ, writer, musician, and artist who has worked for Radio K, KFAI, 89.3 The Current, China Radio International, Secret Stash Records, and the Dakota Jazz Club. His fascination with music and pop culture forges his insight in reviewing live music. Danny lives in Minneapolis. Andrea Swensson is an author, radio host, and music journalist. She hosts a weekly program about the Minnesota music scene, The Local Show, at Minnesota Public Radio’s 89.3 The Current and contributes to the Local Current Blog. Prior to joining MPR, she was the music editor at City Pages, where she founded the AAN AltWeekly Award-winning Gimme Noise music blog. Chris Riemenschneider has been covering the Twin Cities music scene for the Star Tribune since 2001, long enough to earn a shout-out from Prince during "Play That Funky Music (White Boy)." The St. Paul native was also a music critic at the Austin American-Statesman for five years. Jim Walsh is an award-winning author, journalist, writer, and songwriter from Minneapolis. A columnist for the Southwest Journal and regular contributor to MinnPost.com, his work has appeared in Rolling Stone, the Village Voice, the St. Paul Pioneer Press, City Pages, and many other publications. He is the author of “Bar Yarns and Manic-Depressive Mixtapes: Jim Walsh on Music from Minneapolis to the Outer Limits” (University of Minnesota Press, 2016), “Gold Experience: Following Prince in the ‘90s” (University of Minnesota Press, 2017), “The Replacements: All Over But The Shouting: An Oral History” (Voyageur Press, 2007) and, with Dennis Pernu, “The Replacements: Waxed Up Hair and Painted Shoes: The Photographic History” (Voyageur Press, 2013). A teacher at the Loft Literary Center, Walsh is the former leader of bands REMs, Laughing Stock, and The Mad Ripple, and the ringleader behind the 10-year-old singer/songwriter showcase The Mad Ripple Hootenanny. His new band Jim Walsh and the Dog Day Cicadas released its debut CD “Songs For The Band To Learn” in May 2017. He has a lot of stuff in his basement, and closets, that he’s writing about right now. 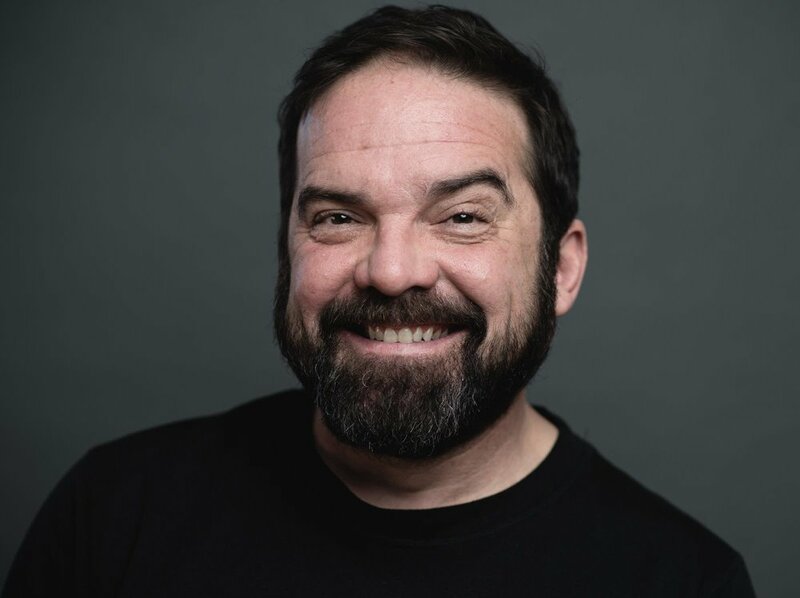 Brian Oake is a radio broadcast personality in the Minneapolis, Minnesota radio market. Oake currently is a co-host of the KCMP-FM (89.3 FM) program Oake and Riley in the Morning. Oake's credits include work on previous Twin Cities radio formats, Rev105 and Zone105. In 1998, City Pages listed Oake as the "Best FM Radio Personality" for his work on Zone 105. He also performed as a breakdancer in the 1980's under the street name, "Trick."